Amp up your look with understated coolness starting with this structured and contemporary diamond patterned tie in shades of light cactus green, silver and light peach. The patterns and colors strike a perfect balance of contrast, dimension and texture. This uber chic tie is designed by the Puccini Fashion House and is made from a durable, stain resistant micro-fiber. 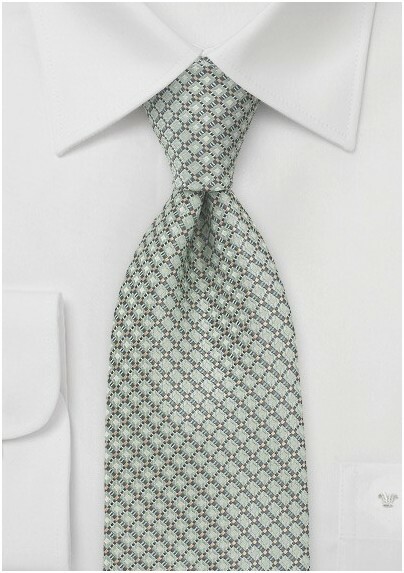 This tie is available in a wide assortment of other colorways.